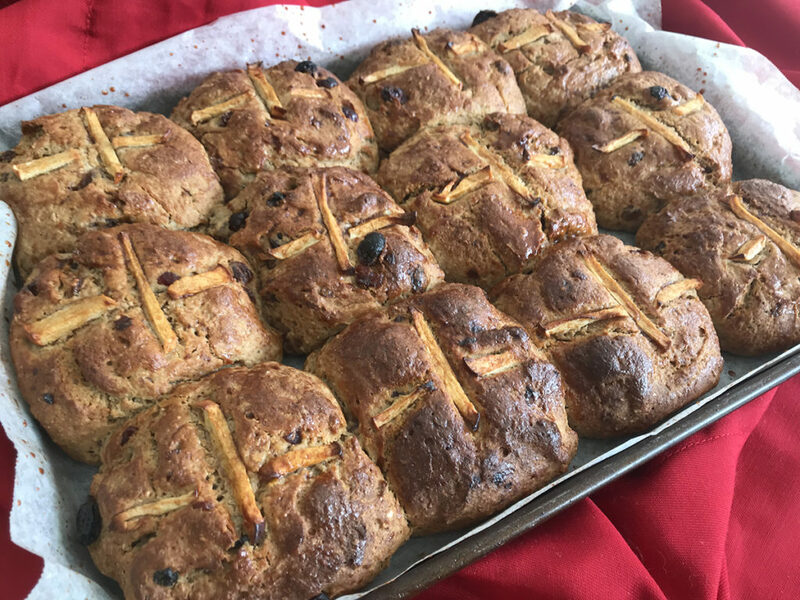 Hot Cross Buns have been in our stores since just after Christmas but as Easter is nearing, I thought I give making some at home a try. You might be thinking why would you do that, the store bought ones are so delicious. Oh, I know they are but have you seen the ingredients. If you haven’t looked lately, check out this awesome and informative article by my friend Francine Bell from Additive Free Kids. Francine is one of Australia’s leading independent voices in Additives and Preservatives. 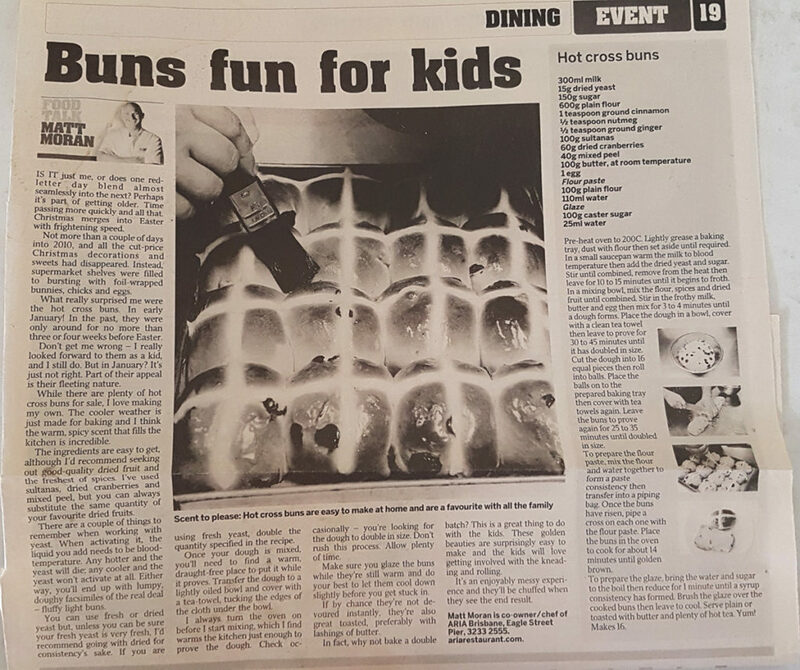 Anyways, a few of our awesome email community sent me some hot cross bun recipes to try. Katherine sent me this oldie and said perhaps I could give it a make over. So below this image is my make over. Our family loved them so much that I have since made another batch. Thin slices of apple as your crosses – this idea is from Georgia from Well Nourished – check out her Hot Cross Buffins recipe here. *if yeast doesn’t froth in the milk mixture (mine didn’t), in a different bowl add 1/4 cup warm water, 1 tblspn yeast, 1/2 tspn of sugar and let this sit for 10 mins). Then add it into the mixture when you add the milk. I haven’t tried these out Gluten Free yet, but I think you could sub out the wholemeal flour for a mix buckwheat, rice and a standard gluten free flour. Let me know if you try this out and how it goes. The nice orangey colour is from the moist goji berries – such a nice twist. 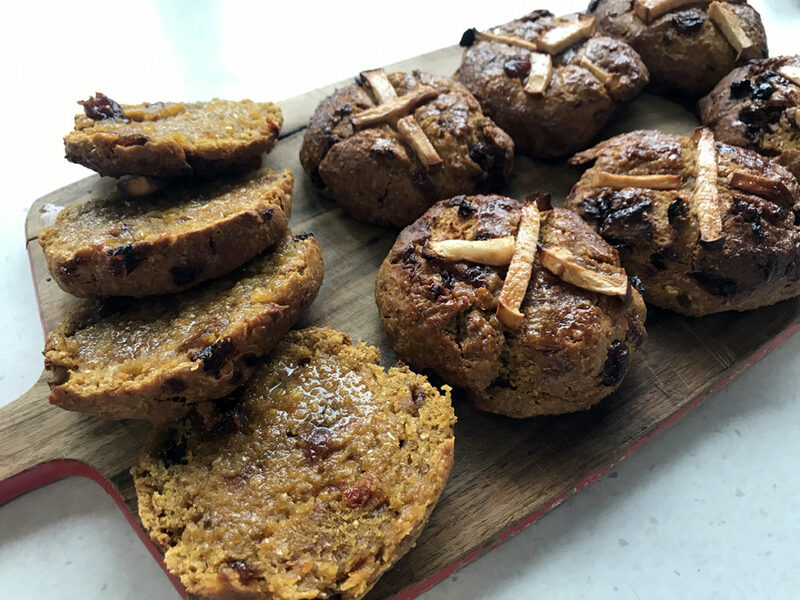 Leave me a comment and let me know how your family enjoyed these hot cross buns. Did you enjoy this? Sign up for regular articles and recipes just like this, delivered STRAIGHT to your inbox every week. FREE. Learn great tips on packing healthy lunchboxes, get new recipes, and stay up to date with our products and courses, with The Root Cause email newsletter. Sign up below to get started.